As with all extraterrestrial news, please research this material for yourself and reach your own conclusions. Historically, when this type of spiritual and educational extraterrestrial information is revealed, you often find Internet disclaimers attempting to deny it. In 1972, the Ancient Arrow site was discovered in New Mexico by a few young hikers. 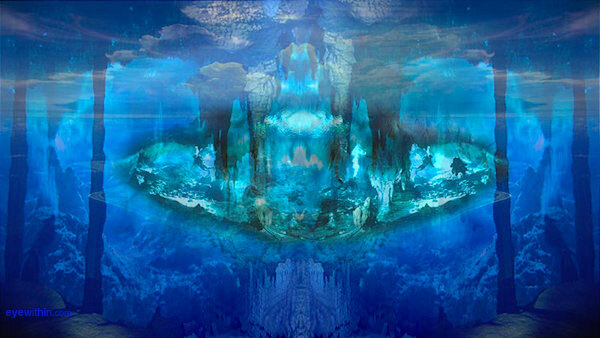 They came upon some caverns which led deeply into the mountain side. These caverns were spreading out like a wheel on both sides of a long tunnel. Each side-tunnel ended in a chamber, 23 all together, and these chambers all had artifacts in them. The young hikers were in awe because they figured what they saw couldn't be of this world! The site was subsequently taken over by a special branch of the United States National Security Agency whose mission is to create and decode encrypted messages. In short time, the NSA came to the same conclusion as the hikers, that these artifacts, in the form of out-of-this-world paintings, odd-looking technologies, engraved symbols and complex star charts were something they'd never seen here on Earth before. They named the site, Ancient Arrow Project, it was categorized as ‘Above-Top-Secret’ and it was sealed off from public access. Upon further explorations of the caverns and the chambers, they found other artifacts besides paintings, such as poetry, music discs and a disc containing more than 8,000 pages with written material in a language similar to Sumerian. However not even the best linguists at the U.S. Advanced Contact Intelligence Organization (ACIO) could decode any of it. The Ancient Arrow Project was shelved for 22 years, due to an inability to have the technology required to open an informational disc found at the site, and decipher what was written on it. Eventually one of the scientists who devoted his life to understanding these encoded transmissions, found himself in telepathic contact with the very civilization that prepared this underground enigmatic time capsule. They are a civilization living 800 years into our future on our timeline and they left these traces and the advanced wisdom to us to be opened in our future when we on Earth, are ready. The creators of the time capsule referred to themselves as WingMakers. They claimed to be culture bearers, bringing seeds of art, science and philosophy to humanity. They created in remote locations on Earth a total of seven of these massive interior theaters, tunnels, chambers and time capsules to be discovered according to a well-orchestrated plan. Their apparent goal was to help the next several generations of humans develop a global culture; and a unified understanding of advanced science, art and philosophy. Similar chambers and amphitheaters inside mountains have been located in Tibet and Iraq and another appears to be beneath the Sphinx in Egypt. Interestingly, archeologists digging near some of the remarkable time capsule locations have discovered burial plots that upon exhumation reveal skeletons measuring 7 to 10 feet tall, supporting the research that very large people inhabited these areas. In the summer of 2003, in an unexplored area of the Bucegi Mountains in Romania an archeology team from the top secret section of the Romanian Intelligence Service made a discovery that could change life as we know it, on Earth. The Romanian government was about to reveal this site to the world, but they were stopped by the American government. A Pentagon Satellite used for geodetic espionage detected a great hemispherical hall within the mountains. The empty space inside this mountain had no correlation with the outside, and looked like it was carved from the inside by intelligent beings. It was definitely not a cave. 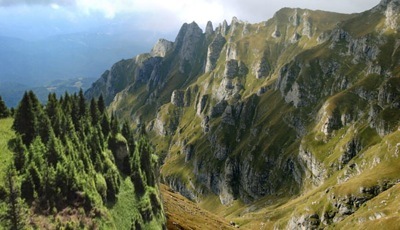 The satellite scan of the mountain revealed two major energy blocks. These barriers are made of artificial energy. The first one is like an energetic wall, blocking access to a tunnel, while the second one is shaped like a dome and located at the opposite end of the tunnel, near the center of the mountain. The investigative team were able to penetrate the mountain and reach the first gallery, which looks like a subway tunnel. Its walls are perfectly polished. At the end of the tunnel there is a massive stone gate, which is protected by an invisible energetic barrier. Three members of the first special intervention team approached the energetic barrier. One person reached out to touch it and immediately died of cardiac arrest. During another visit, one of the team members who approached the barrier in a respectful and trusting manner was suddenly able to walk right through it unharmed. He felt a ‘compatibility’ between the energy barrier and himself, a mutual sympathy. With the energy barrier deactivated, now the team could enter a huge room which they later named the ‘Grand Gallery’. Without any light source, the Grand Gallery was perfectly lit. 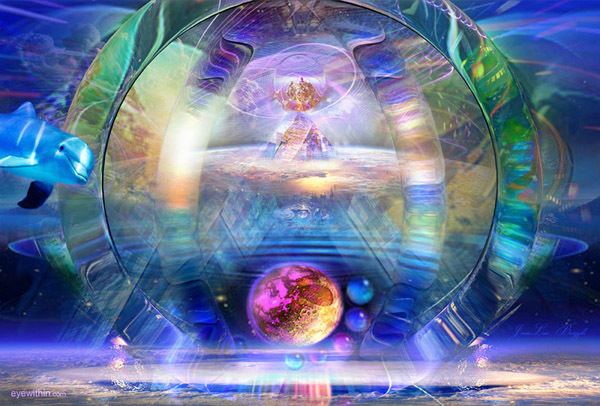 The hemispherical shield at the end of the room began to vibrate, emitting a higher frequency vibration. The walls seemed synthetic as well as organic. They could not be scratched, bent, burned, cut or damaged. It had the color of oil with reflections of green and blue. After continuing inside the Gallery for approximately 280 feet, they entered a side room. Ahead they could see a blue sparkly light that was the reflection of another protective field of energy. Apparently there are similar, sister underground chambers in Iraq. At the same time this was happening in Romania, an advanced facility in Iraq was activated. The Iraq chambers were suddenly pulsing a higher frequency. In front of the shield in the Baghdad base, a hologram of our planet appeared, which sequentially and progressively depicted the European Continent, then moved to the southeast, showing the Bucegi Mountains in Romania, and finally showed their own location within the Baghdad caverns. It was obvious that these hemispherical energy shields were in direct contact with each other. An emergency session of The Supreme Council of National Defense (the autonomous administrative authority in Romania) convened in Bucharest with top secret, USA Pentagon generals. Their goal was to prevent public access to this site and its advanced technology. This is why I am writing about this now. So you will know about these advanced chambers, world wide in various locations and their possible access to our occupied inner Earth. The time traveling people from this ‘future’ culture have said there are seven of these facilities in different locations on Earth, and some of the tunnels are roadways to an inner earth civilization. Do these 7 locations relate to the legends of Shambhala that are found within the teachings of the Kalachakra or the ‘cycles of time’ of Tibetan Buddhism? Described as a land that is circular, in the shape of a lotus flower, that exists in a space between the physical and spiritual, perhaps being ultra dimensional. Nicholas Roerich, artist and shaman, claimed an entrance to Shambhala was connected via an underground passage to Lhasa, the capital of Tibet. I have personally had contact with a Chamber of Light in the Andes Mountains at Lake Titicaca, Bolivia (at 12,500 feet) while I enjoyed a solo hike there, facilitated by my friends Angelika Whitecliff and Michael Salla. 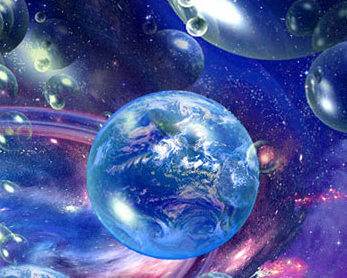 I was surrounded by beings from another dimensional reality who exist in the refined frequencies there. This civilization is referred to as the Great White Brotherhood due to the radiant white light that surrounds them. 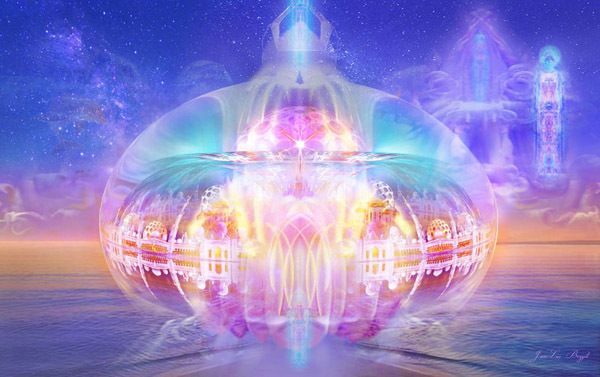 As you may already know, these beings and others of High ultra dimensional Light can be called upon wherever you are, when you raise your spiritual vibrations to a frequency compatible with theirs. Setting aside the misconception that the inner Earth is merely a hot molten core, I encourage you to investigate this further. 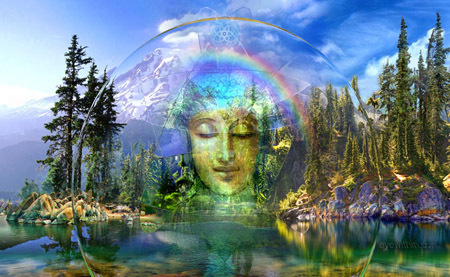 There is an impressive, scholarly and experiential history of research into the probability of our inner Earth being hollow and perhaps even serving as a pleasant environment for other civilizations that are ancient, peaceful and long-time residents of Earth. For more information and research please look into the works of the astronomer Edmund Halley who presented his theory in 1692 to the Royal Science of London. Marshall B. Gardner reported on polar astronomical anomalies suggesting a hollow earth. And highly recommended is the scientific and scholarly book by Jan Lamprecht, published in 1997 and 2014. Also of interest are also ancient myths, spiritual revelations, the Tibetan knowledge of this subject, books, diaries, and anomalous photographs and diagrams. Fifteen more years have passed, and now in April 2014, these 28th century people, the WingMakers have again established contact, reaching out to humanity. They released an interview recently detailing who they are and why they are time jumping back to our timeline in 2014. It is a very positive sign that things have changed for the better on Earth. People are now seeking freedom and equality and a humanitarian, compassionate way to live in unity among all nations. The creators of the time capsule, the WingMakers, represent a future version of humanity. They are here to assist us into the multidimensional realms where we can interact with many other spiritually advanced civilizations. The 3-dimensional, 5-sensory domain that humans have adjusted to, is the reason why we are only using a fractional portion of our intelligence. 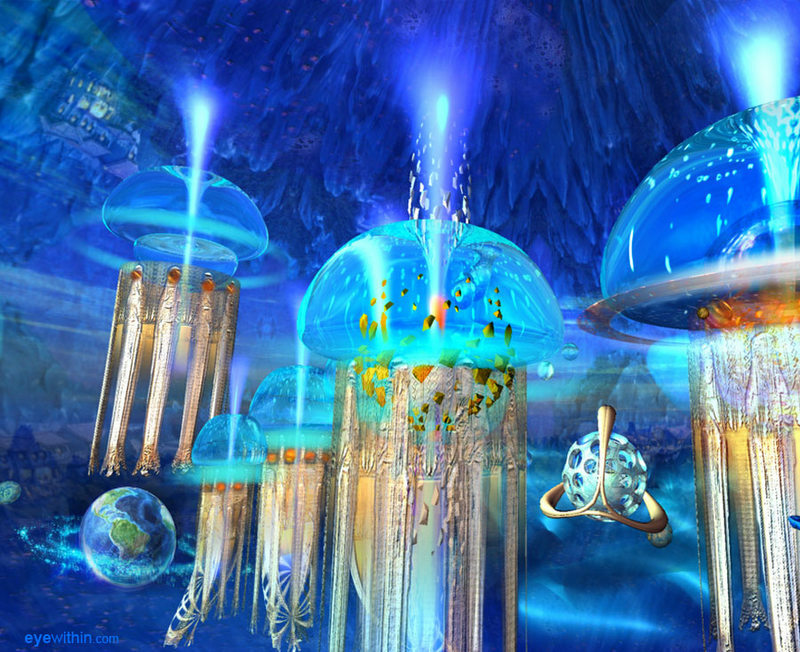 The information and experiences of these time capsule chambers are the bridge from the 3-dimensional, 5-sensory domain to the multidimensional 7-sensory domain. They name the process, Blank Slate Technology. It refers to an advanced type of time traveling, where these time-encapsulated artifacts activate or construct a bridge that can guide us to become travelers. It is less about technology and more about spiritual focus. We are participating with multidimensional civilizations in time travel experiences at Sky Island Ranch in Hawaii, on the slopes of the great Hawaiian mountains. 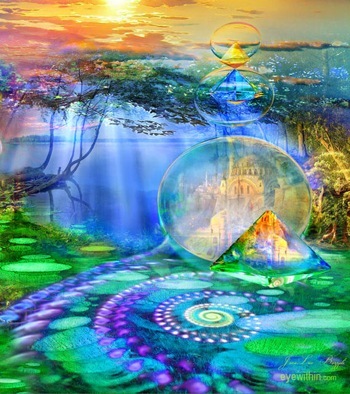 As we enter the higher frequencies, we visit our positive future. Just by entering these domains we become instrumental in creating that future. This is the next step in our evolution. These are also the teachings of the dolphins and whales as they activate our DNA while we swim with them in the salt crystal geometries of the pure ocean water here. The efficient and uplifting experience of time travel is not as depicted in Hollywood movies. The purpose of what we call ‘time travel’ (while acknowledging there is no such thing as ‘time’) is a teaching that reminds us we are naturally multidimensional light beings or photomorphs (as the Humpback whales call it) who have the ability to enter many more domains than the limited 3-dimensional one we experience each day. Once we break out of the belief that we are limited, we can access many more splendid worlds as our friends the Star people do. 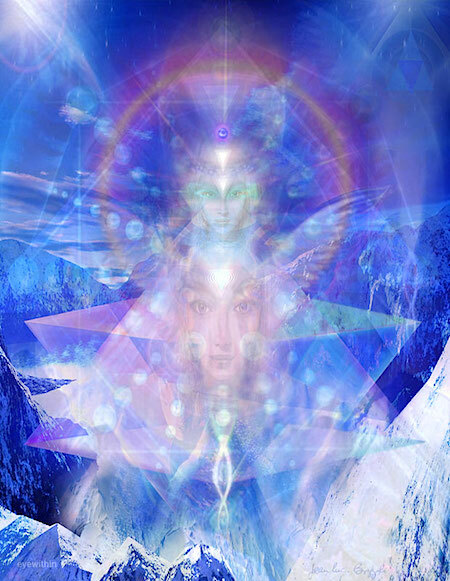 It is part of our evolution into higher, more joyful realms of light and love. The WingMakers, our future selves, made the decision to assist us now because there are people on Earth who are ready to consider the reality of benevolent, advanced races who can time travel and who are reaching out for contact with us to let us view our ‘future’ and to interact with them in a positive and spiritual way. This is the key to freedom. The WingMakers are graciously offering this contact, encouraging people to share their friendship and philosophy with everyone. Thank you for your interest in this subject. For those of you visiting the WingMakers site for the first time, please take your time to read everything carefully. It is not always an easy story to grasp. It’s an enormous story unlike anything you have experienced before. But it is worth while to investigate it, and if you do, don’t be surprised when things in your life open up to a wider reality that is both inspirational and practical. This is what these materials can do if you spend time with them. I hope that you do.